Due to renovation works, bath barracks no 41 and the gas chambers will be unavailable for visitors until the summer of 2020. Additionally, due to maintenance works, barracks no. 45 housing a model of the former camp will be closed until further notice. 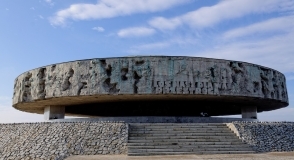 The State Museum at Majdanek took part in the “Accessible Culture” programme of the Ministry of Culture and National Heritage for the third time. This year, 101 groups of primary and secondary school students from all over Poland participated in the free museum lessons organized by the Majdanek Museum and Memorial Site in Bełżec. A vital part of the Museum collections are prayer books found on the grounds of the Majdanek camp shortly after its liquidation in 1944. 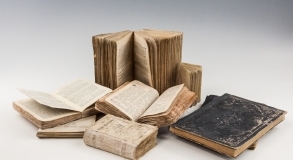 Eight of them were analyzed and restored recently, including pocket diary with handwritten notes in French. The mound with ashes of the victims of the German concentration camp, located in the Mausoleum, underwent conservation commissioned by the State Museum at Majdanek. 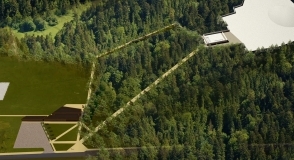 On the grounds of the former German Nazi death camp in Sobibór the construction works planned in 2017 related to the creation of the Museum - Memorial Site in Sobibór, a branch of the State Museum at Majdanek, came to an end. 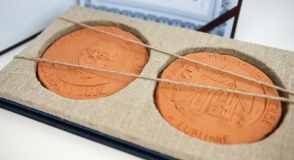 The State Museum at Majdanek has been honoured with the St. Maximilian Kolbe Medal. The initiator of this honour is the Parish of St. Maximilian Kolbe and the Collegium of Social Service Workers in Lublin. 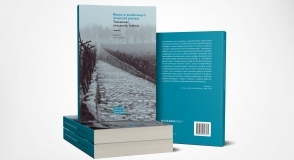 We are proud to announce that the publication "Majdanek w dokumentach" [Majdanek in Documents] received the Paweł Konrad’s Laurel award in the category Lublin - monograph in the contest "The Book of the Year." 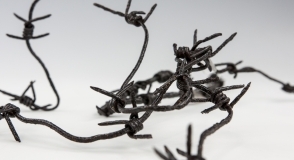 The Museum at Majdanek has accomplished conservation of another group of relics found on the grounds of the former German Nazi death camp in Sobibór. On 5 December, the director of the State Museum at Majdanek, dr Tomasz Kranz, and the director of the Stanisław Staszic High School No. 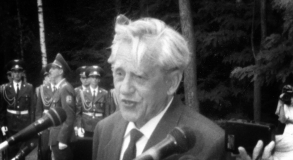 1 in Lublin, Stanislaw Stoń, signed a cooperation agreement. It involves the implementation of joint ventures in the field of history education and enables high school students to take part in a voluntary service at the Museum. Discussion on the book "Przetrwałam. Doświadczenia kobiet więzionych w czasach nazizmu i stalinizmu"
Maria Buko and Katarzyna Madoń-Mitzner, co-authors of the book "Przetrwałam. Doświadczenia kobiet więzionych w czasach nazizmu i stalinizmu" [I Did Survive. Experiences of Women Imprisoned in the Times of Nazism and Stalinism], were guests of the Majdanek Museum. On 17 November, they discussed their work at the publication. The host of the meeting was Marta Grudzińska. “The Saint” – this is how Wanda Ossowska, a prisoner of the concentration camp at Majdanek, was described by her fellow prisoners. The commemoration of this remarkable character was held on November 14, 2017, as part of the All Souls’ Day at Majdanek. 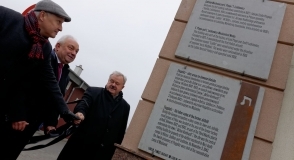 On 8 November on one of the building at Wrońska Street 2 plaques commemorating the victims of the former German Nazi labour camp at the so-called Flugplatz and the functioning of the pre-war E. Plage and T. Laśkiewicz Mechanical Plants were unveiled. It was a joint initiative by the State Museum at Majdanek in Lublin, the “Brama Grodzka – Teatr NN” Centre and "Wschód" SA company. Over 18 thousand Jews were murdered in the camp at Majdanek on 3 November 1943. It was the biggest execution by shooting in the history of German Nazi concentration camps. On Friday, the State Museum at Majdanek was the place where people paid tribute to those who were murdered. The opening of a new museum exhibition was also held. Since 3 November 2017, a new temporary exhibition can be watched in the Visitor Service Centre. Curators of the exhibition "Drawings on the Scraps of Life. The Extermination of Jews in the Lublin Region in the Józef Richter's Sketches" are Krzysztof Banach and Lech Remiszewski. 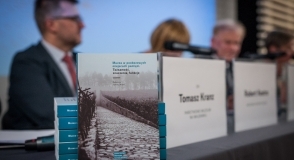 Opening of the exhibition was held on the 74th anniversary of the "Bloody Wednesday" during which on November 3, 1943 more than 18,000 Jews were murdered at Majdanek. 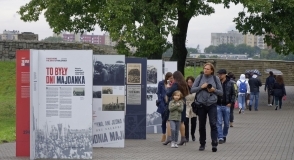 The State Museum at Majdanek and the Provincial Police Headquarters in Lublin established long-term cooperation which resulted in another seminar at the memorial site. On October 10, 1942 the German occupation authorities carried out a police action in the Dziesiąta district. As a result, many people were detained and about 150 were imprisoned behind the barbed wire of the concentration camp at Majdanek. 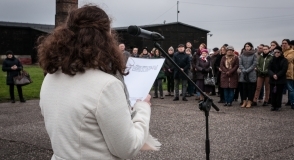 On the 75th anniversary of those events, the State Museum at Majdanek organised an education project for the youth whose aim was to commemorate the victims of the pacification. On October 2 the temporary exhibition “Res non humana – inhuman thing. The German occupation of the Zamość Region 1939-1944” prepared by the Museum – Memorial Site in Bełżec was made available for the visitors of the Tomaszów Lubelski Cultural Center. A meeting dedicated to the former prisoner of KL Lublin and the Lublin Castle, Helena Pawluk, took place on September 27 in the Reading Room of Hieronim Łopaciński Provincial Public Library at 4 Narutowicza Street in Lublin. The grandson of Helena Pawluk, Wojciech, his wife Danuta and his son Marcin were the guests of the Museum and the Library. As part of cooperation between the State Museum at Majdanek and Lublin Regional Inspectorate of the Prison Service, on the 15th of September in Opole Lubelskie Prison first educational workshops for prisoners were held. The aim of joint programme of museum workers and prison service is to form proper moral and social attitude through teaching the history of Majdanek. The Days of Majdanek went down in history as one of the most recognizable cyclical museum events which, over a period of seven decades, was attended by several generations of Poles. 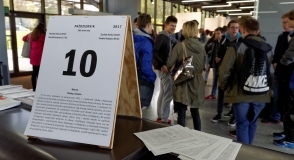 Opening of the exhibtion devoted to the Days of Majdanek took place on 16 September. The event was part of the European Heritage Days. On September 14, the debate entitled “How to talk about history in museums?” took place in the State Museum at Majdanek. The participants debated, among other things, how to create museum narratives in historical museums and traumatic memorial sites so as to make them interesting and accessible to the viewer, as well as to impart knowledge and shape historical thinking. Articles by historians, art historians, culture experts, sociologists and museum pedagogues from Poland, Germany and Austria are included in the newest publication issued by the State Museum at Majdanek. 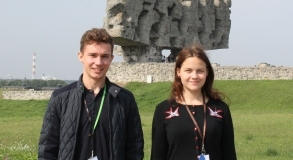 To the people who work together with the State Museum at Majdanek belong also young people, who right after the secondary school leaving examination decide to do a 12-months voluntary service in the Museum. It is possible thanks to two organisations - Action Reconciliation – Service for Peace (Aktion Sühnezeichen – Friedensdienste) from Germany and Niemals Vergessen from Austria. It is with deep sadness that we learned of the passing of Franciszek Brzezicki – a former Majdanek prisoner, co-founder of the Union of Poles in Zhytomyr. 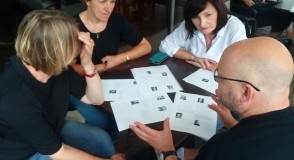 On 24–27 July 2017 the State Museum at Majdanek together with The House of the Wannsee Conference organized a workshop for teachers from Polish and German schools. The teachers were presented with methods and forms of out-of-school education used at the State Museum at Majdanek that allowed them for better preparation of their students for visits at the post-camp memorial sites and development of their own methods of work during regular lessons.